What you have inside you is unique. If you are aware enough to recognize that you possess something that you would like to share with the world, then I hope you’ll find the courage to do so. Whatever you do, I hope you won’t let other people make you feel that it’s not worth sharing, or that you should change it to be more like whatever it is that they are looking for from the world. For you are the only you, and the gift you have to give to the world is all the more meaningful if not diluted and contorted to fit the expectations of others. By all means, seek out ways to hone your skills, and to improve your own ability to more faithfully, meticulously and precisely convey all that which you wish to lay upon the world. Whatever you do, don’t let others mold you into something that is no longer true. I can’t wait to get back on the dance floor. It’s been over two months, which has felt like over two months of being a fish out of water. Amazing that I survived two years away from dance in the past! I was reviewing some of my practice footage from before my injury in March, and I figured I’d post a link to some of that on here in-lieu of writing about things like PT and my housing search (or just not writing at all, which has been the status-quo recently). I felt I was really making a lot of progress in March, so it will be interesting perspective to see what it feels like once I finally get back on the floor again after such a long break. I’ve been injured since March 12th. I traveled to Orlando, FL for work, and then traveled to Tampa, FL to visit my family. I scheduled lessons with Alexander Voskalchuk and Veronika Egorova while I was in Tampa. The lessons were very insightful! I was so very excited to integrate everything I’d learned when I got home. I returned home on the afternoon of the 11th, and I was traveling to San Francisco on the 13th for GDC 2014 (2014 Game Developers Conference), so I was trying to pack as much practice time in as possible while I was home. It was at the end of competitors rounds on the evening of the 12th when it happened. I was dancing solo, as was another female, the dance was Tango, and we danced backwards into each other, at high speed. Her heel impacted just inferior and anterior to the lateral malleolus of my right ankle, and then I quickly hobbled off the floor in pain. I had hoped it was just a horrible bruise. Unfortunately, over the next few days, it proved to be more than that, resulting in an ER visit while traveling in SF. The good news is that I still have stability in the ligaments, so it won’t be a dance career ending injury. The bad news is that I’ve probably still got another month of PT and rest before it’s well healed enough for me to return to dance. But, having learned from past mistakes, I’d rather lose two months than two years, so I’ve been diligent about resting it properly. The Harvard Invitational DanceSport competition was this weekend in Boston, and I had hoped to have lessons with current World & U.S. Professional Ballroom Vice-Champions Victor Fung and Anastasia Muravyeva, who were the visiting show couple this year. A couple of weeks ago, current five-time World Champion, Katusha Demidova was also here giving lessons. It’s been frustrating sitting on the sidelines and missing out on such great opportunities to learn. At the same time, I’ve been studying anatomy textbooks and doing pilates, so it isn’t as if I’m making no progress in this part of my life, even if it might feel that way. I am so very looking forward to getting back on the dance floor in May! After my last competition, I had to take a break from dancing for almost two years, first because of an injury to my big toes, and then exacerbated by a nearly fatal car accident. Not fun… not fun at all! But, there’s good news. I’m back to dance! Actually, it’s now been 14 months since I returned to dance! Yay! A lot has happened in these past ~3 years since I was forced to stop dancing, and in the time since I’ve been back on the dance floor. I don’t think I have the energy or the desire to search through the past and document it here — I’d prefer to look forward more than backwards at this point. But, hopefully the future will be brighter, and involve more frequent updates to this blog! “So, what’s new,” you say? Well, it’s been a long road; but, I think I’m dancing better now than before my break. I’ve gotten a lot of my strength back, and have been training a lot more recently, and I really feel that I am developing a better fundamental understanding of dance (simultaneously accompanied by a feeling of having so far yet to go). At the same time, I’m trying to always listen to and be mindful of what my body is telling me, and to not over-do it with my training regimen. I am officially looking for a dance partner! In recent news, I decided to officially start looking for a dance partner for Amateur Adult Championship Standard. Though, I would also be open to eventually competing in Rising Star Professional Standard, if the partnership were right. I’m willing to travel or potentially relocate. For the right partnership, I’d relocate just about anywhere. Last weekend, I tried to go spectate the Manhattan Amateur Classic (MAC) to search for a partner; but, there was a snowstorm, and my car didn’t make it more than a few feet out of my driveway! I’m going to have some titanium removed! My sternocleidomastoid muscle has been growing around this particular screw, and building up scar tissue, so I’m excited to have it removed! I had lessons with Glenn recently, and he took a video to show me something we were working on. It’s not my best dancing, and I think it looks pretty messy; but, the good news is that despite feeling that it’s not great dancing, it doesn’t look 100% horrible, so I am improving. Oh, and I finally went skating at Boston Frog Pond! I know this isn’t really dance related; but, I did start figure skating because I couldn’t dance anymore. It’s become a hobby that I really enjoy, but I have to say, it was nice to finally get out of the rink/freestyle skate practice and go teach someone to skate outdoors! I’m still being bad at updating this regularly! Lately, I’ve been skating often ^_^ I skated for a couple of hours at open skate this afternoon, and had a lot of fun. I made a lot of improvement on my spins, and I learned my first jump off the toe pick landing on the other toe pick (the bunny hop) ^^; I’m having a lot of fun with edge control on one skate, and finding the sweet spots on my blades where I can change edges with a lot of power and very little physical effort (efficiently) =) There’s so much to learn, and it’s such a great experience to be able to just go practice on my own without needing to have a partner for anything! Though, pairs figure skating does seem like it could be amazing!! Last, but *certainly* not least, I’ve been continuing to pour my heart into my recovery.. and finally, nearly 6 months after the I was forced by my injuries to stop dancing, I’m beginning to see true signs of healing! There’s a long story behind this, and I made some pretty drastic changes a couple of months ago with respect to the way I was approaching my healing. For example, I completely stopped taking all anti-inflammatories (even non-prescription ones). I also stopped doing anything that caused pain (even PT exercises that did – I found other ways to do them without causing pain). Another big change that I made was that I started taking time to move the joints around and massage them by hand a few times every day, to ensure that they were seeing their full range of motion and well lubricated by synovial fluid. I’ve also been working closely and intensely with an ex-professional ballet dancer on alignment (which has helped me to reduce the stress on certain parts of the joints through their ranges of motion). The *great* news is that I can now actually walk without pain, and even go en-releve and perform arabesque without pain (when I am using correct alignment)! There’s still a long way to go – I anticipate that it will be at least another 4-6 months before I feel like my changes in alignment have been internalized well enough and the healing process has progressed far enough for me to return to dance actively. But considering that the original prognosis was that I may never dance without pain when not taking anti-inflammatory medications again, a few months seems like an absolutely tiny price to pay to be able to naturally dance pain-free again! It’s been a long time since my last post. And not because there was nothing to write about. It so often seems that when there’s the most to write about, there’s also the least time, or energy, to write about it! I need to be more diligent about writing! Well – lets see… since my last real update about my own dancing after Manhattan last July, instead of taking a break to rest (which would have been the right thing to do, as I had injured myself preparing for that competition) I instead upped the intensity of my training, and worked passionately on every bit of new material my coaches exposed me to. I had a lot of great coaching, performed a handful of shows, competed in several competitions (including the Friday night session at the Eastern), was my coach’s assistant teacher for a Quickstep class at MIT, for better or worse became no longer affiliated with SuperShag, and finally, abruptly felt my body violently protest “no more!” during a natural turn (my knee just gave out). That was at the end of February (just after the Eastern). I took a couple of weeks off to rest, after which everything felt better… except my initial injuries from last June (my big toes). I then went to see an orthopedist, underwent a series of x-rays and MRIs, and eventually was given the grave diagnosis of damaged great toe joints (which typically don’t heal). There are options like cortisone shots, and surgery, but joint replacement isn’t really an option (yet) for dancers. 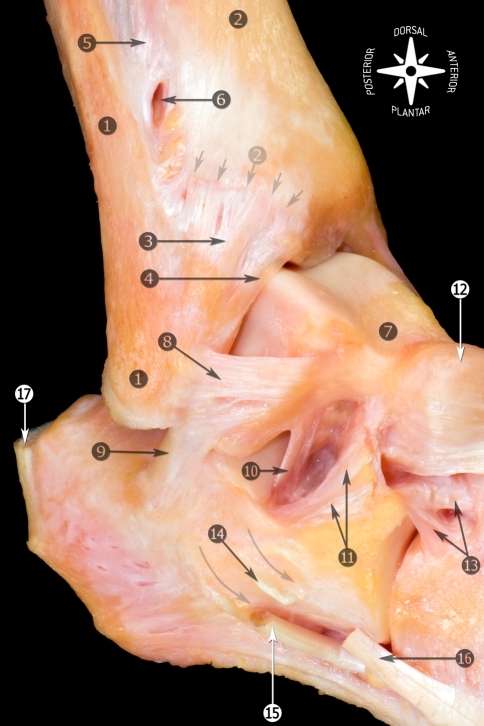 Big-toe joint-replacement surgeries are effective, but they aren’t yet able to last a lifetime, and they require drilling the bone in a way that can’t be repeated for successive joint replacements in the future, so they aren’t even recommended for young non-athletes. The orthopedist was optimistic that there will be much better options available within my lifetime, though. Since I wasn’t about to jump head-first into the risk of any of those options (especially since none of them were guaranteed to make things better! ), he prescribed a very strong anti-inflammatory, prolonged rest (without dancing or running), physical therapy, and daily doses of ice, to mitigate the treatable symptoms. I’ve been following that plan religiously, and am seeing marked improvements (which are exciting), but the progress is still slower than I’d like.. impatient me – but isn’t impatience and stubbornness what got me here? I miss dance so much, but even though I feel impatient and wish I could run back to the studio and just dance, I’m going to be smarter from this point on! It’s still not clear how much more improvement I will be able to see, but I’m approaching it with the belief that recovering enough to return to competitive dancing IS possible (as long as I’m diligent), and so I’m trying to do as much as I can to reach that goal! (The details of everything I’m doing are enough for their own post, which I do intend to write). In other big news, I’ve recently moved! It was a long time coming, and I’m really happy to have finally found the right place and seized the opportunity! It’s a spacious place, and it’s my goal to build a dance floor here so I can practice at home once I’m able! I’ve already gotten a big 8′ mirror and an 8′ ballet barre, so the pieces are starting to come together! Finally, the biggest positive piece of news that I have to write about is that as part of my PT, I’ve taken up figure skating! Because my toes are protected inside the boot, skating is something that I can do without causing further damage to my toe joints, or setbacks to the rehabilitation process. In fact, it’s a great activity to strengthen the stabilizer muscles around my hips, which were very adversely affected by all the compensation I was doing during the 9-months I spent training while injured. And next time is tomorrow afternoon! I can’t wait!! I should actually already be asleep, getting heaps of much-needed rest, but I really felt that taking this step back to writing was something that I needed to do. And I’m glad that I did. These are the videos from the finals of the 2010 IDSF Amateur World Standard Championships, which took place in Wetzlar, Germany on Saturday, November 27th, 2010. The videos are in German, but if you watch them enough times (like me! ), then you actually start to understand most of what they’re saying!!! The first video begins with an introduction and then a recap of the semi-finals and previous competition footage. There is a heavy focus on Benedetto Ferruggia & Claudia Köhler, who were the favorites to win, being the 2009 World Champions, and having literally won every competition (26 in total!) that they entered in 2010. In 2009, they were only ever 2nd twice: once to Andrea Ghigiarelli & Sara Andracchio of Italy (at the International) and once to Paolo Bosco & Silvia Pitton of Italy (at the 8th World Games in Taiwan). 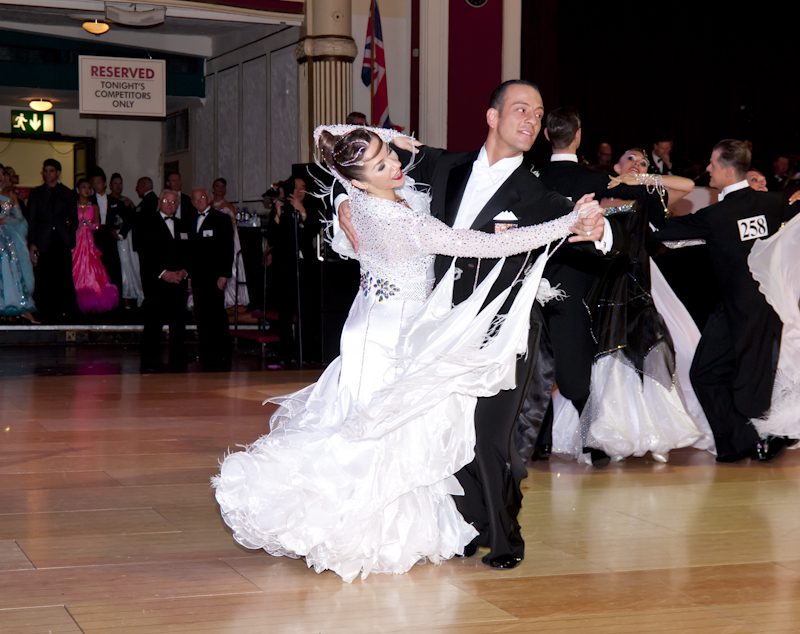 Paolo & Silvia have since turned Professional, while Andrea and Sara have been banned from competing in IDSF competitions because they chose to compete at Blackpool this year despite the ban on British competitions by the the Italian Federation (FIDS). Benedetto & Claudia’s partnership began in 2004, and they’ve represented their country at the World Championships each year since. In 2004, they didn’t make the finals (ranking 7th). In 2005, they were 5th. In 2006, they came in 3rd (because Arunas Bizokas and Edita Daniute were withdrawn from their 1st place standing). In 2007 and 2008, they came in 2nd to Paolo & Silvia, and in 2009, they won their first World Championship! Needless to say, there’s a lot of well-deserved attention on them before the finals begin! Followed by the first three group dances: the Waltz, the Tango, and the Viennese Waltz. The third and final video begins with the SlowFox, danced to a very exciting song called Capone, by Ronan Hardiman. Next, each of the 6 couples dance their solo Quickstep (during which there is an accident, but with a very graceful recovery! ), and then the video ends with the group Quickstep and a listing of the results. Benedetto And Claudia = THE BEST!!! 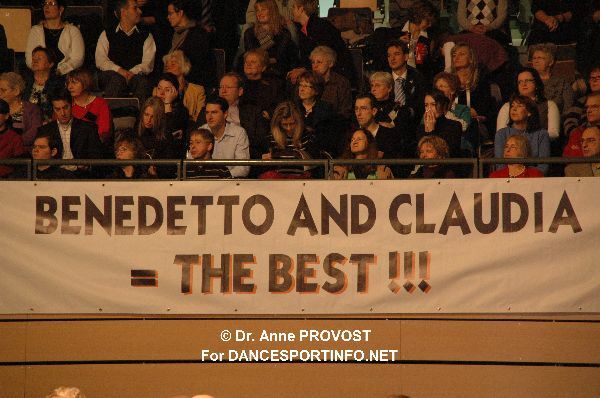 Benedetto & Claudia: 2010 Amateur Standard World Champions! Claudia Köhler is *so* my role model! Giampiero Giannico and Anna Mikhed will be at SuperShag, August 13-14, 2010. Anna and Giampiero, who are currently ranked #3 in the U.S.A., and just recently came in 5th in the Open Professional Standard final at Blackpool, will be coaching at SuperShag in Boston on August 13th-14th, 2010! They will be teaching private lessons all day Friday, and giving three 45-minute workshops on Saturday, from 1-4pm. Free Pizza from The Upper Crust served after the workshops. $100 for all 3 workshops or $40 a piece. Also, Rufus Dustin will be at SuperShag Aug 2nd, 3rd, and 4th for coaching. Contact Peter Walker (Rockstar@supershag.com) or 781.858.8582. for more information and scheduling. P.S. I am told that Giampiero and Anna may also be available for coaching at Balera Ballroom in Newton on Sunday (August 15th)! 241 dancers converged at the Bandshell in Central Park, NYC to stand en pointe for one minute. Dancers from the American Ballet Theatre and the Kips Bay Boys and Girls Club came to the park and broke the Guinness record for most ballet dancers en pointe for a minute, with 230 dancers successfully completing a simple routine on their toes. The previous record holder was the Youth America Grand Prix 10th Anniversary last April at City Center, with 220 dancers participating. In total, 241 dancers of all ages showed up, and 230 stayed on their toes until the end. “We’re making history through dance,” said Craig Salstein, a soloist with the Amercan Ballet Theatre, who led the dancers. “I think it’s great to see dancers of all different ages and sizes giving it a try,” said Emily Willard, 36, of Manhattan. Some said they heard about the challenge online and came into town to make history. Brooke Wasserman, 19, of Connecticut, said she found out about the event on Facebook and didn’t want to miss it. Mirko Gozzoli & Alessia Betti were Amazing! This is sort of a tribute to Mirko & Alessia post… For those dancers out there who have been living under a rock *wink*, Mirko & Alessia were 4-time consecutive World Ballroom Dance Champions, from 2005 to 2008, when they both retired. They have both since returned to dancing, albeit separately. Interesting aside: Mirko Gozzoli is currently dancing with Edita Daniute (see profile). Alessia Betti is currently dancing with Angelo Madonia (see profile). Edita Daniute and Angelo Madonia were partners before Mirko and Alessia split. And Edita was also previously partnered with Arunas Bizokas (see below), who is now partnered with Katusha Demidova (see below). And if that isn’t confusing enough, Arunas & Katusha are the reigning World Champions, filling the spot previously held by Mirko & Alessia. And Mirko & Edita are currently ranked #2 in the world. Musical Partners! Phew! I was re-watching some of their dancing on YouTube recently, and I am amazed by how well matched their partnership seems to have been. I think it’s too bad that they aren’t dancing together anymore, I would love to see them in person! Well, without further adieu, watch and decide for yourself! How do you think their tango compares to other couples, past and present? Alessia & Mirko 2005 German Open Professional Tango – imho: WOW! Compare to Mirko & Edita’s Tango, 2010. Compare to Arunas & Katusha’s 2008 WSS Waltz. I appreciate the weightless quality in Arunas & Katusha’s Waltz, and the dynamic nature of Mirko and Alessia’s Waltz. I can’t say that I can pick just one here, either – both are very certainly among my favorites! What do you think? Share your thoughts and feelings in the comments! Stats: 19 queries. 0.245 seconds. Valid XHTML, Valid CSS, XFN. "Floral Belle" theme by Nicki Faulk.